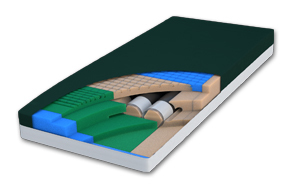 Among specialty support surfaces PressureGuard® stands apart. 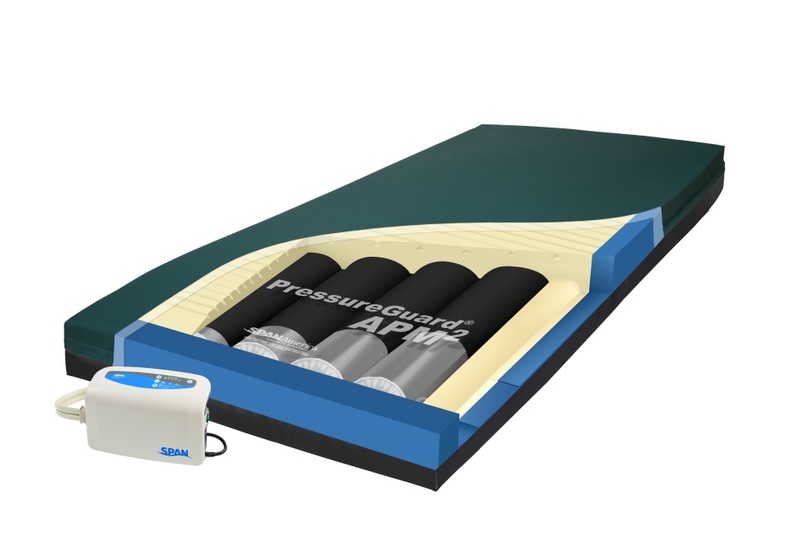 Packed with technical innovations, every PressureGuard model combines the effectiveness of an air flotation system with the unmatched stability and safety of a multi-component engineered foam shell. 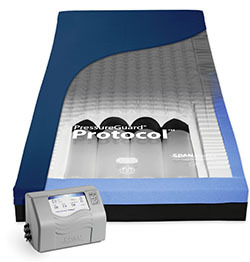 The PressureGuard® Easy Air™ is independently documented to outperform every leading low-air-loss system in this key performance area. Remarkably, it does so with none of the compromises low-air-loss prescribers have come to accept. The Easy Air™ LR adds lateral rotation. 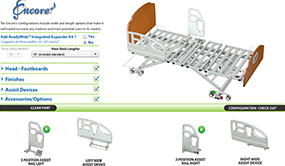 The Easy Air™ XL serves the bariatric patient. 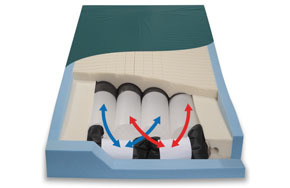 The PressureGuard® Custom Care® Convertible LAL adds industry-leading low-air-loss microclimate management to the revolutionary Star Chamber system which provides greater air displacement and better weight distribution. 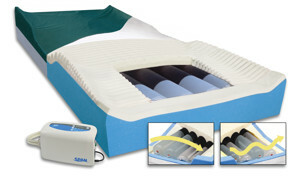 The PressureGuard® Custom Care® Convertible series is Span-America’s better way to provide non-powered therapy, which with the simple addition of a control unit, provides powered alternating pressure and lateral rotation therapies. 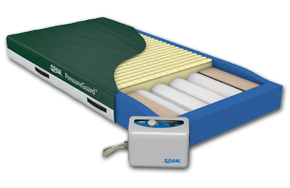 The PressureGuard® Span-Care® Convertible empowers busy caregivers with non-powered, pressure air redistribution and – with the addition of its multifunction control unit – alternating pressure and powered flotation. 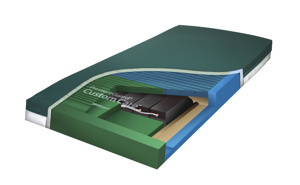 The new PressureGuard® Custom Care® surface is an innovative non-powered blend of Metered Immersion™ with interconnected chambers providing reactive pressure redistribution and Shear Transfer Zones™ shear transference.